Practical multi-core for the stage! 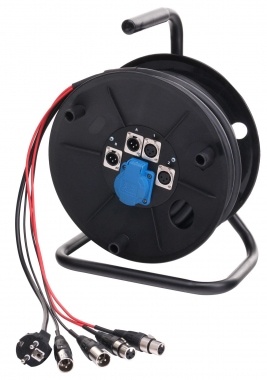 The Pronomic DMC-15 Multicore is designed for the comfortable stage wiring. With the integrated 230V socket, the multicore is particularly suitable for small bands who want to avoid unnecessary clutter. 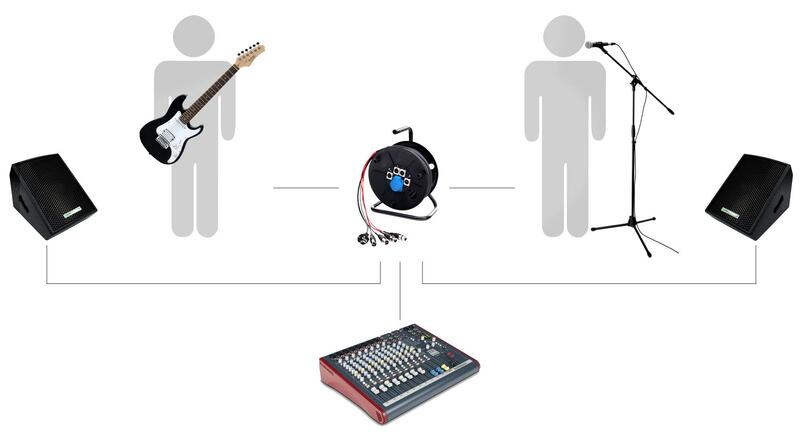 For the necessary connectivity a total of 4 XLR channels are provided, where there are 2 send and 2 return channels. The connections are housed in a sturdy cable drum which is mounted on a stable tubular frame for secure fixing. 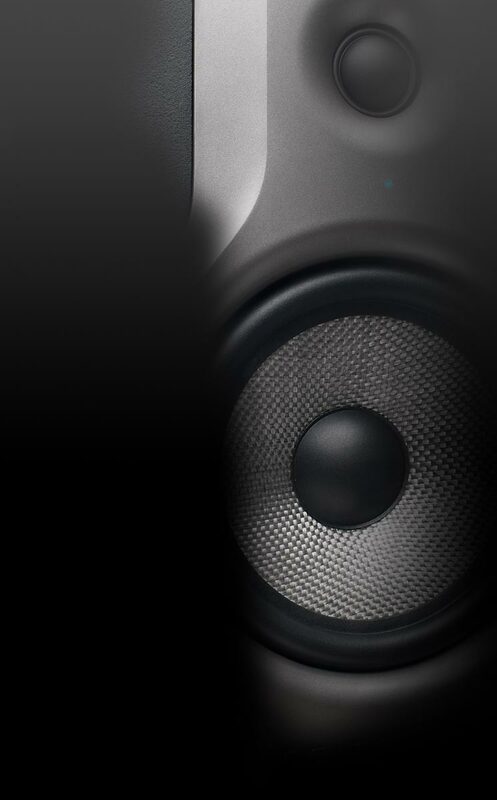 The highlight of the DMC-15 is the integrated Schuko socket (230V/AC), which provides power supply for active stage monitors, effects or other stage equipment. Mess? Forget it! 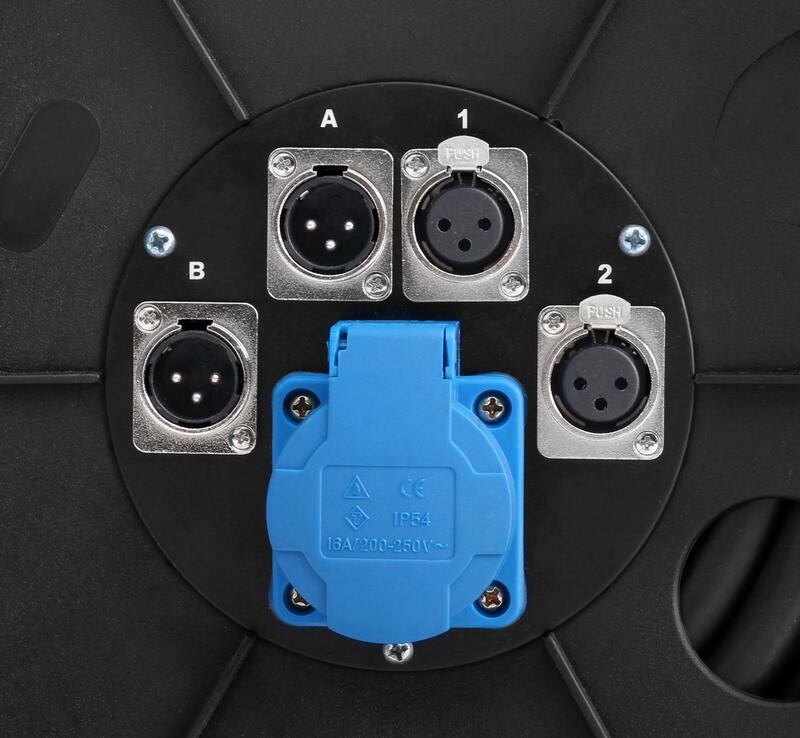 Each connector and each terminal is assigned with a number or a letter, so that even in stressful situations the best overview of the cabling situation always prevails. As customary by Pronomic, also the processing can be seen. The sturdy tubular steel frame, the cable management bracket and sockets with IP54 protection provide maximum durability and an appropriate safety standard on stage.